Losing a child is the worst nightmare any parent could imagine, a nightmare that is much harder to bear when you know that there may have been something you could have done to prevent such an awful tragedy. As unimaginable as this scenario is for most parents, preventable deaths are happening at an alarming rate as politicians argue about whether or not marijuana is medicine (we did some checking, it is). 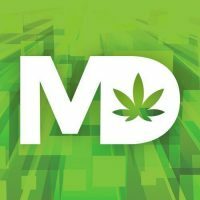 At this crucial time in history, a moment when the science on medical marijuana has become crystal clear, our government leaders can no longer afford to move slowly on reform measures. The lives of our children depend on this. In the past two years at least seven children in the United States have died from a variety of illnesses that might have been treated with some form of medical marijuana. But they did not get a chance to try the treatment that might have prolonged their lives. Each of these children were waiting for access to medical marijuana oil before their deaths. However, a lethal mixture of stigma, ignorance and traditional politics on the part of lawmakers cost these children their lives, and now their families must live the ultimate nightmare for the rest of their lives. TENNESSEE — Chloe Lucille Grauer-Lea was diagnosed with a rare neurological condition when she was six-days-old; she had an estimated 100 seizures a day, or 75,000 seizures over her short lifetime. Doctors thought she would not live past the age of 2. Her doctors had tried 20 medications and several surgeries. Chloe suffered a severe seizure that put her into a coma and decreased her brain function and died December 2014 at the age of 3, when she was removed from life support. Chloe’s parents were fighting for CBD-specific laws at the time because of her seizure condition. In May 2015, Tennesee finally adopted a limited CBD oil program. FLORIDA — Isaac Carew died March 4, 2015 after a battle with Alper’s disease. An expensive DNA test helped to determine that he had the rare illness shortly before he died. Most patients don’t live past their tenth year. He had been suffering from seizures for years. He had brain surgery in 2012 and three more brain surgeries in 2014. His parents, Ben and Emily, were part of a network of parents with epileptic kids waiting on lawmakers to make medical marijuana oil available in Florida. Due to legal opposition to tje bill, Florida still does not have any kind of medical marijuana program. WISCONSIN — Lydia Schaeffer was 7 years-old when she died in her sleep on Mother’s Day 2014. She had a rare genetic seizure disorder known as Kleefstra syndrome as well as epilepsy and autism. She lived with profound medical, developmental and behavioral challenges. Despite her mother Sally Schaeffer lobbying for a CBD bill that eventually became law, the Schaeffers were told Lydia would have to wait while the state figured out how to implement the program, and because the demand for Charlotte’s Web was so high. “I kept thinking to myself, we’ve just got to buy Lydia some time,” Sally told the Milwaukee-Wisconsin Journal Sentinal. “And I guess we didn’t buy enough. I think that’s what bothers me about Lydia’s death. I wanted to show people that despite all her illnesses and her odds, I was going to make it happen. Part of me feels like such a failure that I couldn’t do it for her. I couldn’t make her live.” she said. 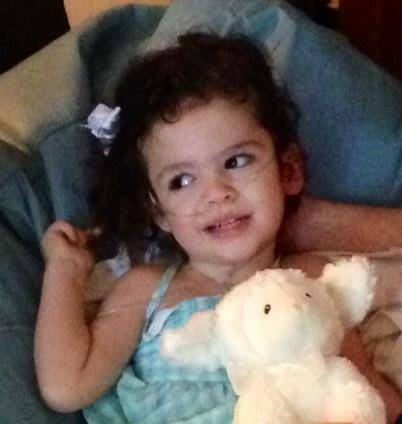 NEW YORK — Anna Conte had Dravet Syndrome, which caused her to have uncontrollable seizures. Anna’s family fought hard and pressured state leaders to pass a medical marijuana program, because they heard cannabis oil was working for children in states with medical marijuana programs. Finally, the bill was passed and although Governor Andrew Cuomo signed it into law, he gave the State Health Department 18 months or longer to get the program up and running. Anna could not wait 18 months. She eventually had a seizure that put her into a coma and died in July 2014. GEORGIA — Savannah Talley, 8-years-old, started having mysterious uncontrollable seizures. She was put into a medically induced coma and three weeks later, she was brain dead. Her parents decided to take her off life support and she died a short time later in May 2015. Only TWO DAYS before her death her parents obtained one of the only temporary Georgia cannabis oil permits from Georgia Senator Allen Peak, sponsor of the cannabis oil bill, although the law doesn’t go into effect until July 2015. It was too late for Savannah. The cause of her sudden illness remains a mystery and her family will never know if CBD oil could have helped her. Editors note: This article was originally published with eight tragic stories, but one was removed for editorial reasons. Greed is the number one reason these children died. Those charged with protecting us would prefer to control us and profit from our misery. If they can restrict the supply and ignore the huge demand the price for using cannabis and cannabis products stays astronomical. Those prisons for profit should be packed with those who are profiting. Preventing seriously ill children getting life-saving medicine is the kind of homicide that politicians get away with. They should be looking at years in jail!!! I often share your post but most people here in Alabama are afraid to like or comment. How many children and adults has cannabis saved? Perhaps they would respond to that better and get it through their thick heads. My prayers to the children and the family’s that have suffered needlessly..